I think Trump will speak to Mueller with his lawyers present and it will be Kangaroo spin show that will result in Mueller's inability to catch Trump In a process crime. Trump is too smart for that. All Trump has to do in answering any trap questions is answer, "I don't recall, I have no knowledge of", and put it right back on Mueller to prove his case. Washington Examiner reports it may not be in President Trump’s best interest to speak to special counsel Robert Mueller because it’s not clear he’s going to get a fair jury due to congressional Democrats’ political machinations, Rep. Trey Gowdy said Sunday. Speaking on “Fox News Sunday,” Gowdy said he wants Trump to talk to Mueller because he can give information on important events like few other people in the investigation can. 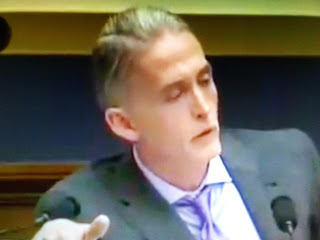 Gowdy specifically said his side of his conversations with former FBI Director James Comey is particularly important. But, it also opens the door to political harm, Gowdy said. “Let’s not kid ourselves, there is a political component to it. Twice now, over 50 of my house democratic colleagues have voted to move forward with impeachment. Twice, before he has answered a single solitary question from Bob Mueller,” Gowdy said.